Democrats don’t have to win a majority of the votes in rural America. But they do need to erode Republican margins if they want to succeed in state and national elections. Why aren’t Democrats and their allies willing to spend the relatively modest amounts of money it would take to get their message in front of rural voters? EDITOR’S NOTE: Matt L. Barron is a disenchanted Democrat who has repeatedly urged the party and Democratic candidates to do a better job engaging rural voters. 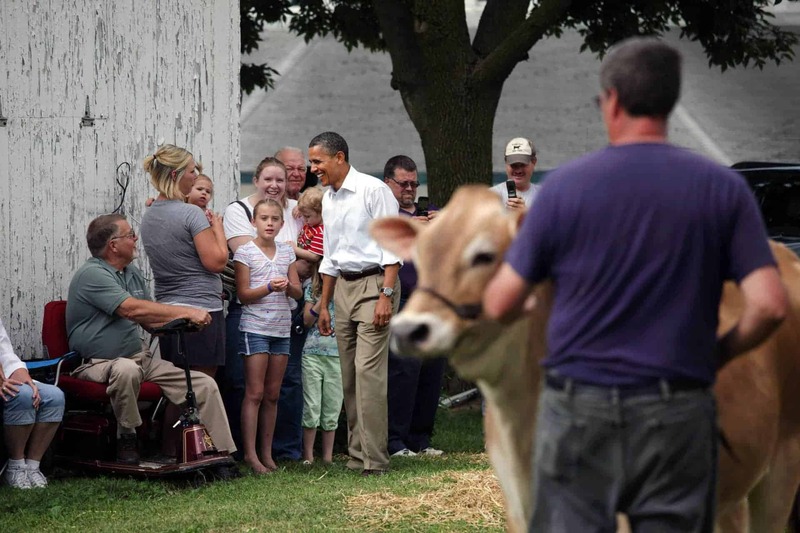 Daily Yonder readers last heard from Barron when we featured a conversation between him and another rural Democrat, Jay Clarke of Virginia, under the heading “The Trouble with Democrats.” This time around, Barron got in touch with Iowan Austin Frerick to consider some of the same issues. Frerick is a seventh-generation Iowan who ran for Congress in Iowa’s 3rd District in 2018. Barron selected the questions and compiled the responses. Question: There seems to be a bad disconnect between the Democratic donor community and rural America. What can be done to convince people in the cities and along the coasts to invest resources in competing for votes in the exurban areas of the country? Matt Barron: I think the most important consideration is the bang-for-the-buck factor. Most rural areas lack public transportation and so folks have to drive – often long distances. That means using rural radio to target voters geographically and demographically, and 30 and 60-second spots can be had for less than the cost of a KFC Family Fill Up meal. Display ads in rural weekly newspapers are also critical. These publications are read religiously in many parts of the country, especially by seniors. For example, in Arizona, a quarter-page full-color ad in 15 rural weeklies costs $8,740 and reaches 91,000 readers in the state’s rural counties. Until donors understand how far their contributions can get s-t-r-e-t-c-h-e-d with paid media in the hinterlands, we are not going to make inroads in voter education with these voters. This is about reaching rural voters where they are. Austin Frerick: First, I think the disconnect is rooted in the growing economic gap between urban and rural America. For the most part, the Great Recession recovery was an urban recovery. Rural communities would have actually added more than 850,000 new jobs if they had matched urban employment growth trends. And according to the U.S. Department of Agriculture, rural areas still have not even recovered the jobs they lost in the recession. Most urban Americans, and especially the donor class, don’t realize this growing divide. As for what can be done, I’d love to see a start-up type thing be tried here sort of like a venture fund. A group of donors could pool their resources to make significant early investments in various candidates trying unique approaches in exurban areas and see what works. We live in an age of a false notion of quantification. Donors get a false sense of success by the number of impressions made by digital ads to the loss of the value that comes from a $1,000 investment in a county fair booth. Q: Matt has run issue advocacy organizations and rural-focused super PACs, and Austin ran for Congress in 2018. What are some of the obstacles in getting investment in building rural electoral infrastructure for the 2020 elections and beyond? Compounding the problem is the fact that none of the Democratic campaign committees (senatorial, congressional, gubernatorial, state legislators, etc.) has a rural desk with staffers providing opposition and issue research, and advice and counsel for candidates needing to be competitive in rural areas of their state or district. The Democratic National Committee has been looking to hire a rural director but this is only for one person. To me, it is just tokenism. You are setting this candidate up to fail by putting too much on their plate. Why not hire a team of people with complementary skills? And, at the state level, you have a growing number of state parties that have created rural caucuses that have no capacity – no staff or funding to do the education and outreach to rural voters in their states. They are just names listed on the state party website. Frerick: The Democrat donor base is coastal and urban and doesn’t realize that exurban America requires a different political strategy. The Senate Democrat leader is from Brooklyn, the House leader is from San Francisco, and the party chair is from the D.C. suburbs — all coastal and well-off areas. Q: Why is it important that funders recognize the need to support cost-effective voter education in rural areas? Frerick: It’s not always about winning every exurban county, but winning 40% of the vote compared to Senator Claire McCaskill’s 27% of rural voters can make the difference between winning or losing a seat. The continued poor performance in exurban areas will prevent Democrats from retaking the Senate for years to come. According to the latest Cook ratings, even if Democrats win all the currently rated “lean Republican” seats in 2020, they still won’t win a Senate majority — and that’s assuming they don’t lose any vulnerable seats, like that of Alabama Senator Doug Jones. Barron: I think Austin is spot-on. Last year in Pennsylvania, Democratic U.S. 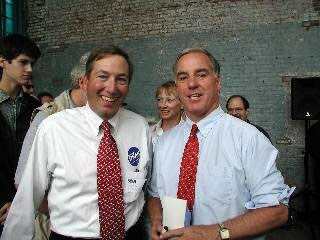 Senator Bobby Casey only won two of his Commonwealth’s 48 rural counties (Centre and Monroe). But en route to winning his third term, he captured 44% of the rural vote in counties that propelled Trump’s win in the Keystone State in 2016. Every state has rural precincts within its borders and for Democrats, it means going beyond showing up there. It means using outlets like radio, weekly newspapers and digital to educate voters on Republican’s records on what I call “meat and potato” issues that rural folks care about: agriculture, broadband, trade, veterans, etc. With digital, we have to keep in mind that according to the Federal Communications Commission, 58 percent of the rural population still lacks access to broadband and 13 percent of Americans don’t use the internet. This is even more imperative in this age of ever-growing media consolidation. The ongoing cuts to news staffs, the closures of Washington, D.C., and state capital news bureaus and the shrinking number of print media outlets all result in less information about votes and policy being explained to people back home. If Democrats don’t have the resources to lay out the case on Republican opposition to key stuff in the Farm Bill, Highway Bill, Energy & Water Appropriations bill, and the ramifications of those to rural constituencies, then they will continue to fail electorally in many red and purple places. Q: What’s one of your favorite exurban campaigns and why? Frerick: I’d love to see a modern-day version of the Paul Wellstone’s 1990 Senate campaign. Barron: I’d have to say the 2008 Obama for President campaign. That race featured an Agriculture & Rural Policy Committee (which in full disclosure I was a charter member of) that from spring 2007 began developing white papers on policy and the Obama Rural Plan; organizing and executing outreach to rural constituencies such as farmers, sportsmen, Native Americans; doing aggressive earned media with op-eds, letters to the editor and calls to talk radio promoting the candidate’s record in downstate Illinois and his vision for rural America. The Obama-Biden campaign supported the committee with staff and resources for paid media in rural states and Obama won a larger share of the rural vote than John Kerry did in 2004. Austin Frerick is a fellow at Open Markets Institute and a former candidate for Congress in Iowa’s 3rd District.